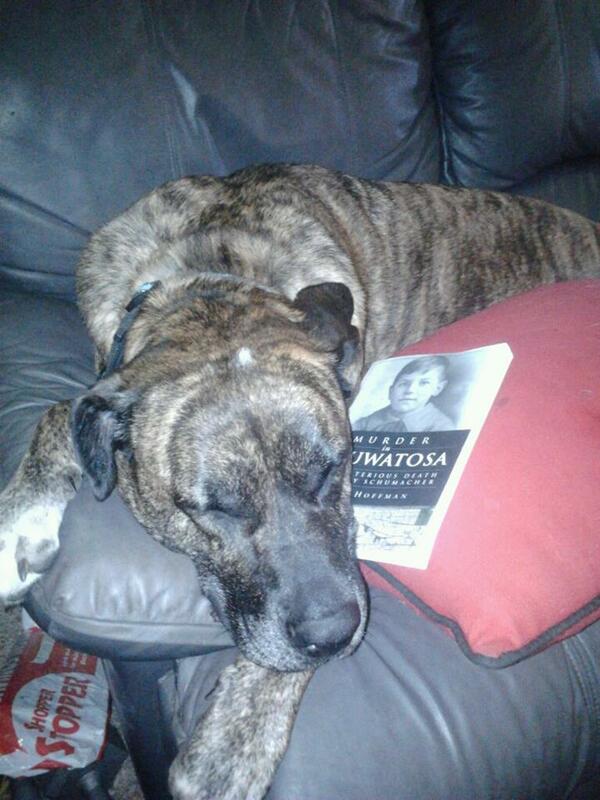 I guess our bull mastiff/great dane named Taz was enjoying your book last night! Thanks for a wonderful read! Made me feel like I was there! 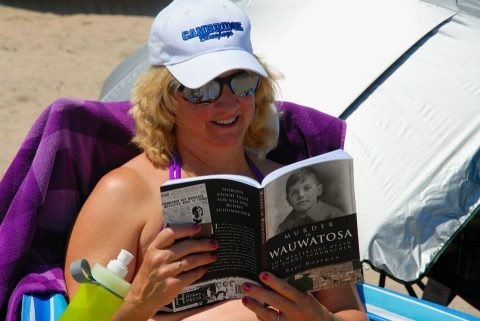 Vicky (Taylor) Werner, Portage, Wis.
A satisfied reader finds “Murder in Wauwatosa” the perfect book to enjoy at Point Beach State Park in Wisconsin. Thanks, Debbie!